I’ve always wanted to write a book and started my first when I was in my early 20’s. Thankfully it didn’t go anywhere at all because the only thing it would have done was to increase the sales of Prozac, it was so depressing! The timing wasn’t right back then, but it was last year in 2017 when I wrote PRESS PLAY. I wrote my first coaching book for teenagers because as much as I wanted to write one for adults, I knew this had to come first as I made the transition from my full-time job as a History teacher to a Life Coach. This book was written because in my final year as a full-time secondary school teacher before I set up my own coaching business, I was faced with the realization of how stressed my students actually were. Having coached a few of my students to success in their final exams, one young lady turned around to me and said, “Ms, you should write a book on these things because there are so many young people like me out there who need your help, not what to do, but how to do it” and so I wrote PRESS PLAY that summer. 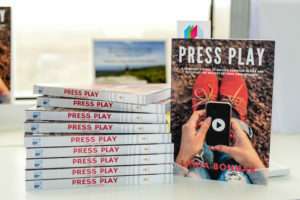 PRESS PLAY is a coaching book for teenagers which identifies forty of the most prevalent real-life issues young people are facing today and equips them with a range of skills, tools and strategies to deal confidently with these issues and move forward successfully in their lives. These forty issues are dealt with under four main sections: Personal, School, Family & Social. PRESS PLAY empowers young people to become the drivers of their own success. The 30- Day Journal works equally well with the book or as a stand-alone resource and is designed for anyone of any age to use. The objective of the journal is to encourage the reader to build better habits; to encourage the development of self-awareness and self-management. 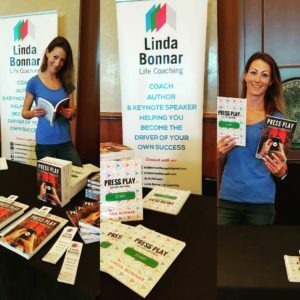 In true coaching style, PRESS PLAY poses powerful questions to its readers and provides space for them to complete these questions as they move through the book, it’s not just a book for reading, but a book for doing, for taking action there and then, not later. My readers love my no-nonsense and frank approach to writing, they love how I make fun of myself and share my own personal story too; I’ve been praised for my honest and my vulnerability in my writing of this book. 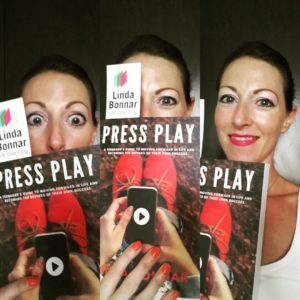 I then created the PRESS PLAY 30-Day Journal about two weeks before PRESS PLAY was being launched, when I told my publishing consultant that I wanted to create something anyone of any age could use to help them develop better habits, and the journal was created. When I started on my own journey of becoming the best version of myself, one of the things I started doing every day was practicing gratitude and this features heavily in the journal as a morning exercise. The ability to ask ourselves more powerful questions and to reflect and learn from our actions is incredibly empowering, and this is the point of the evening exercises in the journal too. The overall focus is on enhancing the user’s level of self-awareness and self-management.